The one thing that you need to make sure of when it comes to your home is to have flooring that is not only aesthetically pleasing but is also durable and long-lasting. Here at Flortec, we provide you with a wide range of flooring options to make your home beautiful and functional. Over the years, we have been providing the New Jersey and New York area with exceptional service making countless homes more elegant and fully functional. When guests enter your home, one of the first things that they notice is your flooring. This is why it is extremely important to have beautiful flooring that compliments the rest of your home. 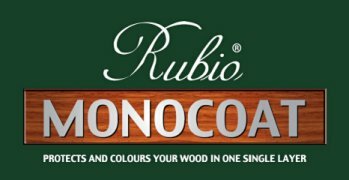 One of the products that we carry is the Rubio Monocoat Wood Finishes. This brand is world renowned for its use of professional oils, for its affordability and for its use of revolutionary technology. If you are considering using Rubio Monocoat for your home’s hardwood floor – contact us for a quote – or read on to learn the 5 basic steps of applying this finish. Stir the Rubio Monocoat well and make sure that there are no pigments left on the bottom of the can. Purchase a squeeze bottle and place the oil inside. It is best to use a squeeze bottle because it allows you to control the amount of oil that you apply on the floor. Remember that you should not flood the floor with oil. You simply have to apply enough to provide ample coverage on the surface. Purchase a brush that feels comfortable in your hand so that you can have proper control of it. Apply a four-inch wide strip along the surface. Make sure that you do not flood the floor. Your goal is to give the floor a beautiful wet look, not to flood the floor with too much oil. Next, use a 175 rpm buffer together with a red pad. Squeeze an ample amount of oil on the pad for a quick and easy start. At this point, you need to buff the floor one more time but do not add any oil to make sure that the application is smooth and even. Leave the oil on the surface for 10 minutes. The last step is to remove the excess oil. Simply use a cotton cloth to remove the excess oil from those areas where you used a hand brush. On those areas where you used a buffer, use one or more white pads to remove excess oil. Drying time will take about 24 to 36 hours. Make sure that you have removed all excess oil or else dusty footprints are going to show. Protect the floor from heavy foot traffic for about one week after the 36-hour drying time has passed. You can do this by simply placing a porous material like cardboard on top of the surface. Follow these steps carefully and you will have a home with the most beautiful hardwood flooring that will be the envy of all your friends. Or call us and we’ll help!